It’s with mixed reviews that the Tea Party is celebrating the fifth anniversary of its emergence onto the nation’s political scene. According to a Pew Research Center survey, unfavorability rating of the Tea Party stood at 45 percent in October 2013, up from 25 percent in February 2010. Favorability was at 30 percent, modestly down from 33 percent where it stood in February 2010. There is no instance where any Tea Party principle has been shown to be off base. If there has been a single defining theme of the Tea Party movement, it has been push back against runaway government. And public sentiment today is very much in line with this. A majority of Americans today appreciate that the Tea Party was right in 2010 regarding the impending disaster of the Affordable Care Act – Obamacare. Principles of the movement, the very principles upon which this country was founded, liberty under God, are demonstrably true. If we look around the world, or in our own history, we find a direct correlation between robust economic growth and limited government. It’s no accident that today’s sluggish economy coincides with historic bloating of the federal government. It is also true that facts justify hoisting the banner of traditional values. Intact traditional families, and the children that grow up in them, are demonstrably healthier and wealthier. One is that upsetting the status quo means shaking up and displacing an entrenched, comfortable political establishment. For Tea Partiers, this means not just the opposition party, but also the establishment in its own party – the Republican Party. Take, for instance, the current primary challenge in Kentucky by Tea Partier Matt Bevin against Republican Senate Minority leader Mitch McConnell. Bevin is a Tea Party candidate archetype. A young and very successful businessman, new to the political scene, a Christian man with a large family, who wants to push back against bloated government and moral relativism and restore American vitality. But Riley somehow misses the obvious. McConnell has not always been in the minority. 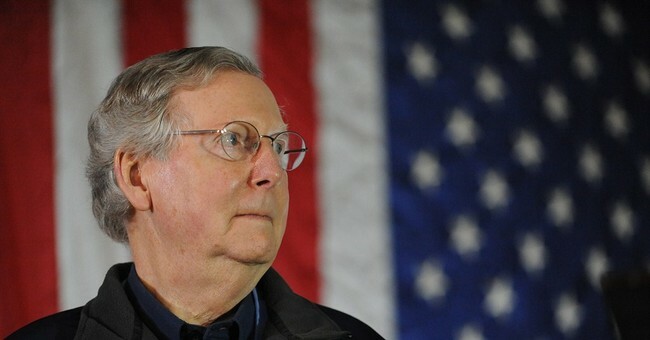 McConnell has been in the Senate for 30 years, and in 14 of them his party was in control. During the 8 years of the presidency of George W. Bush, Republicans controlled the Senate for 6 and McConnell held a Party leadership position. In 4 of those 8 years, Republicans held the White House and controlled both the Senate and the House. Yet, during those Bush years, according to the Mercatus Center, spending increased “more than (under) any of the six presidents preceding him.” The number of federal subsidy programs increased by 30 percent. The major problems we face today - our broken entitlement programs, immigration, health care, education, a horrendous tax code - were known. Yet, all were ignored while government grew. So when the Wall Street Journal calls performance like this conservative, no wonder the Tea Party has challenges. In a new Pew Research Center survey only 28 percent of Republicans say their party is doing a good or excellent job of “standing up for its traditional positions” compared to 49 percent of Democrats who say their party is doing an excellent or good job standing up for its positions. We need citizen activists like Matt Bevin with the courage to fight to take back Washington from the entrenched political establishment. It’s our only hope that the work will get done that is essential for saving the nation.